Banners.com printed some custom vinyl banners for Multnomah Yacht Repair for their trade show booth. They hung their banners from the ceiling at the trade show. If you have a trade show coming up, contact us to see how we can help you with your booth display. We have a large selection of trade show products including vinyl banners, fabric banners, table covers, banner stands and flying banner displays. 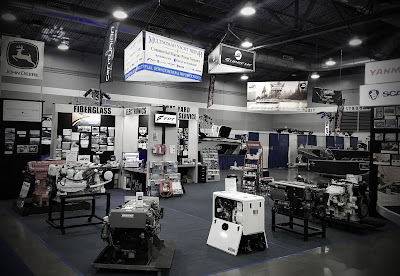 Visit our trade show page to get started.